Travel light. 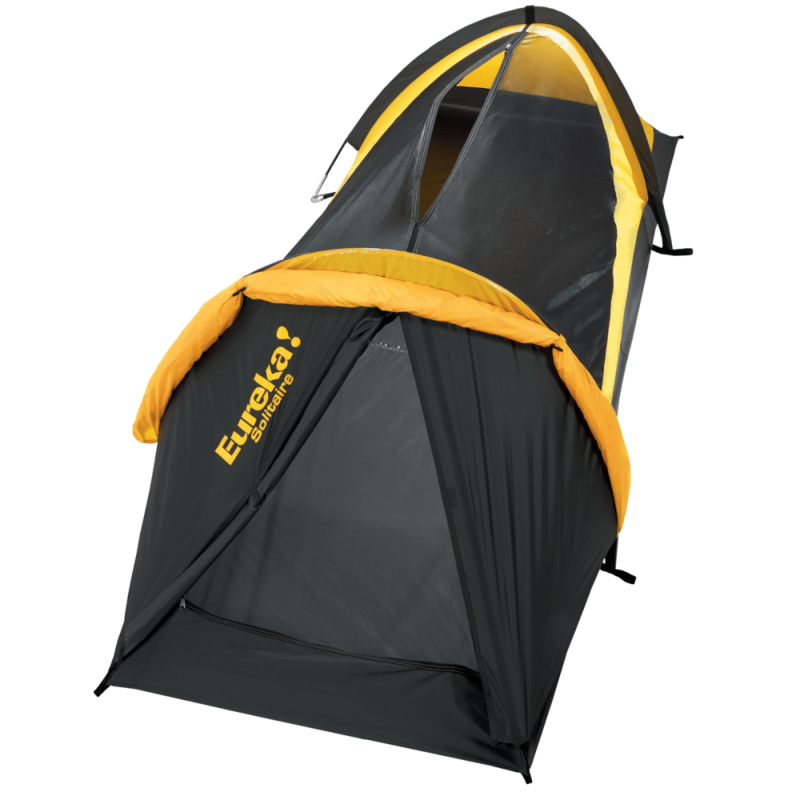 Eureka’s most compact solo tent, the Solitaire is a perennial favorite of backpackers everywhere. 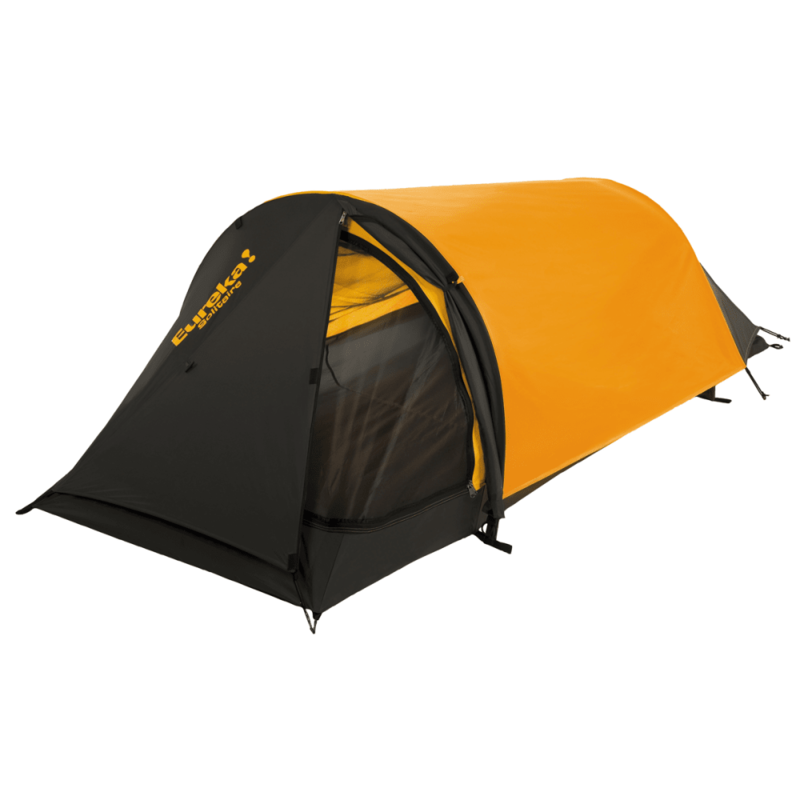 The Solitaire is a non-free standing, bivy-style tent with the added benefit of a zippered top entry for easy entry and exit. Fast set up with post and grommet assembly. Fly can be pulled back for bug-free stargazing. Floor Area: 21.5 sq. ft.
Center Height: 2 ft. 4 in. Pack Size: 4 in. x 17.5 in. Floor Size: 2 ft. 8 in. x 8 ft.
Min Weight: 2 lb. 10 oz.